A pharmacodynamic model introduced earlier in the literature for in silico prediction of rifampicin-induced CYP3A4 enzyme production is described and some aspects of the involved curve-fitting based parameter estimation are discussed. Validation with our own laboratory data shows that the quality of the fit is particularly sensitive with respect to an unknown parameter representing the concentration of the nuclear receptor PXR (pregnane X receptor). 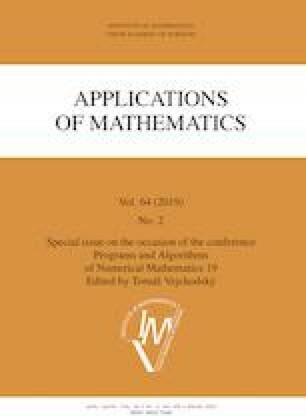 A detailed analysis of the influence of that parameter on the solution of the model’s system of ordinary differential equations is given and it is pointed out that some ingredients of the analysis might be useful for more general pharmacodynamic models. Numerical experiments are presented to illustrate the performance of related parameter estimation procedures based on least-squares minimization. We would like to thank Prof. Petr Pávek for the laboratory experiments described in this manuscript; they were performed under his supervision and in his laboratory at the Faculty of Pharmacy of Charles university in Hradec Králové. The GNU Fortran compiler. Available at https://doi.org/gcc.gnu.org/fortran/. MATLAB. Mathworks, Inc., 2018. Available at https://doi.org/www.mathworks.com/products/matlab.html. NONMEM 7.3. ICON, Inc., 1990–2016. Available at https://doi.org/www.iconplc.com/innovation/nonmem/. Simcyp simulator. Certara, 2012. Available at https://doi.org/www.certara.com/software/.